As I begin writing this I realize it's too bad I'm writing about something relatively negative at the very outset of 2012. But after a meeting yesterday with DeVilbiss' Vice President of Sales, I've got some bad news to report. But let me give a little history for those of you - probably most of you - who have no idea where this is going. A few years ago Respironics and ResMed - the two most prominent manufacturers of CPAP equipment - established "internet policies" which forced dealers to advertise and/or sell CPAP machines, masks and other CPAP products at prices determined by the manufacturers. This is why we have to use a discount code for customers to see our actual retail prices for many Philips Respironics products. And this is also why ResMed CPAP machine and mask prices are quite high compared to similar equipment from other manufacturers. Shortly after Respironics and ResMed established their internet policies, Fisher & Paykel followed suit, by forcing dealers to advertise products at specific prices. Clearly, these aren't good policies for consumers, because the policies have either tended to hide actual retail pricing from consumers - making for a less-than-straightforward and potentially frustrating online ordering experience - or they've simply caused the price of CPAP equipment to increase, depending upon the particular policy. These might seem like pretty good reasons to create restrictive pricing policies, but in reality they're not. In fact, they're very poor reasons. I'll elaborate on that in just a minute. DeVilbiss Healthcare, the manufacturer of the popular IntelliPAP CPAP machines, has resisted creating this type of restrictive internet policy. Up until now, DeVilbiss has allowed dealers to run their businesses as they see fit, without interference. It has been one of the primary reasons we've always been so positive about DeVilbiss. We thought that DeVilbiss really understood the needs of business owners. Given the fact that they make excellent CPAP machines, it's always been very easy to recommend DeVilbiss products. But now DeVilbiss is feeling some pain and complaining of margins that are too low. Further, they believe the relatively low retail prices of their equipment somehow diminishes their brand. Their VP of Sales suggested in our meeting yesterday, "a higher price will show users the quality of our equipment". What? Come again? Did I actually hear that? DeVilbiss believes that forcing dealers to charge more will make it appear to consumers that their products are higher quality. Of course, I disagreed with that notion vehemently, and I told the VP of Sales that DeVilbiss is fooling themselves if they think doing anything other than simply building high quality products will have an impact on people's perception of the quality of those products. You don't build reputations about quality by raising prices. I also said that it's up to dealers like us to communicate the qualitative differences of various CPAP machines, and that dealers can show CPAP users through both online communication channels and direct one-on-one communication that a lower-priced CPAP machine might very well be of the same quality (or better) than a higher-priced machine. The DeVilbiss stance makes absolutely no sense whatsoever, especially considering even after they force dealers to raise prices, DeVilbiss machines will still be about half the price of ResMed machines. So, DeVilbiss has chosen to follow the other major manufacturers of CPAP equipment by instituting an "internet policy" which forces dealers to sell at certain prices. What does this mean for us? Not a whole lot to be honest. We're going to be charged more, and we're going to be forced to sell for more. What does it mean for you? About $50 to $100 bucks more per CPAP machine depending on model. 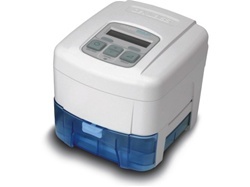 We currently sell the IntelliPAP Standard Plus with Humidifier, SmartFlex for $359. Beginning February 15, 2012, we will be forced to sell this same machine for $470. That's a $111 (31%) increase. Ouch. So, I mentioned I'd tell you why some of the reasons behind these "internet policies" are bad. Here's why. I'll admit that if I were a manufacturer, I'd be frustrated by my customers (i.e. CPAP dealers to which I sell) continually demanding lower prices to maintain margins selling online. But I wouldn't necessarily jump to the conclusion that an "internet policy" was the solution. I'd start with an internal sales policy. The policy would demand the VP of Sales actually control the sales force, and the prices being offered to dealers. The VP of sales would have to stop the wheeling and dealing that's going on nationwide that allows some dealers to get a great deal, to the detriment of the manufacturer. Another reason these internet policies are bad is because the policies are difficult to enforce upon the non-compliant. Sure, it's easy for a manufacturer to hammer on the guys who are operating businesses transparently and who are trying to comply. But it's absolutely impossible for the manufacturers to enforce policies upon people who are running rogue websites (websites with no contact information and that are registered privately). So, these policies actually hurt legitimate authorized websites, and help the rogue bad guys. And then there's a corollary to the non-compliant issue listed above: what to do with the companies that decide to publicly violate internet policies. Will the manufacturers really enforce their policies, and will they really cut off dealers (and potentially lose money in doing so, at least short term) who repeatedly and willfully violate the established policies? Fisher & Paykel has proven that not all manufacturers will enforce their internet policies fairly and equitably. Some websites have simply refused to adhere to Fisher & Paykel's internet policies, with no apparent negative consequences. Will DeVilbiss "enforce" like Fisher & Paykel - specifically, will they enforce arbitrarily and capriciously? Or will they enforce impartially? Only time will tell. Finally, the last thing in which manufacturers should be engaged is implementing pricing tactics that deceive insurance companies. I've said it a million times before. It's nothing less than immoral to attempt to inflate insurance reimbursement rates by forcing dealers to raise prices. Insurance premiums are completely out of control nationwide. Many people can't afford decent health insurance. Jacking up prices of medical equipment so that insurance reimbursement rates remain high is just a travesty. Okay, enough of the bad news. Boo hoo. Now onto the good news. DeVilbiss is releasing their IntelliPAP Auto BiLevel machine in February. This is going to be based on the IntelliPAP BiLevel S platform and will compete head-to-head with the popular System One BiPAP Auto from Philips Respironics. DeVilbiss is also increasing their warranty to 5 years on all IntelliPAP machines beginning with purchases on February 15, 2012. 5 years is an amazing warranty! 2-year warranties are still standard in the industry. While we're extremely disappointed with DeVilbiss' attempt at developing and implementing a restrictive pricing policy, we're excited about the new Auto BiLevel machine and the super-long 5-year warranty. At the end of the day, even after implementing the proposed price increases, DeVilbiss products are still going to be priced competitively and they're still going to be high quality products with the best warranty in the industry. It's just too bad that DeVilbiss can't control it's own sales force and leave the pricing to the dealers and consumers. As always, if you have any questions or comments, just give us a call. We're here to help. IntelliPAP Standard Plus with Humidifier, SmartFlex. Current price: $359. Price beginning February 15, 2012: $470.